Love this candle, it's as good as Bath Body Works but much cheaper. I'm not into the foody or floral scents so much and this one is perfect if you are the same. The scent is very soothing and relaxing. The candle lasts a long time and smells up the whole house. I can even smell it down in the basement on occasion. I also recommend the Rustic Woods scent! Home territory searches the web to find the best prices and availability on Candles and related products foir your home like Better Homes and Gardens Cashmere Amber Candle, 17 oz. For this page, related items include products we find that match the following keywords: "Candle" at our vendor partner Walmart - Click More Info / Buy Now to check for price rollbacks!. 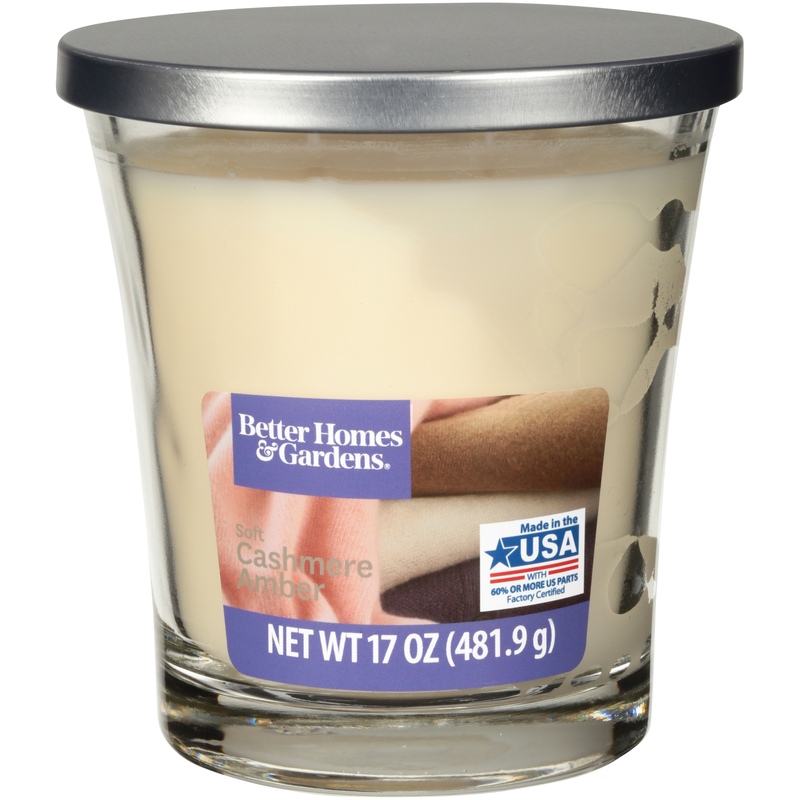 Better Homes and Gardens Cashmere Amber Candle, 17 oz is one of 125 Candles and related products available for sale through HomeTerritory.com, If you have any questions on this product, please give us a call at 734-971-1210 during the hours of 9am - 5pm EST for assistance. Thank you for shopping at Home Territory, the home furnishings superstore!